Despite ongoing protests and pressure from abroad, Ethiopia’s elite will only edge towards change. Ethiopia’s ruling coalition is meeting to determine a successor to Prime Minister Hailemariam Desalegn, who resigned in the wake of anti-government protests. – The recent protests in Ethiopia are rooted in the links between development and conflict. – The civil unrest has uncloaked repressed historical grievances at the heart of Ethiopia’s impressive economic growth. – Ethiopia straddles a momentous intersection of development and stability and is likely to navigate towards quick-fix microwave reforms in the short term. 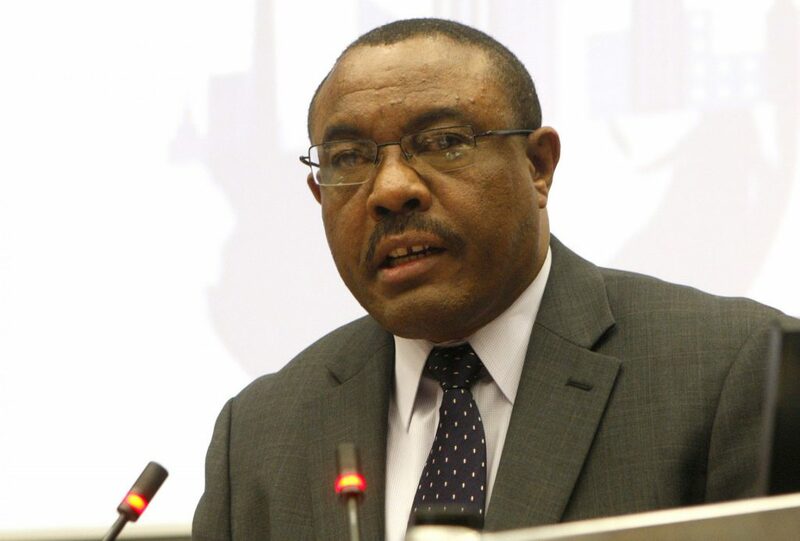 Former Prime Minister Hailemariam Desalegn’s resignation has briefly unsettled Ethiopia’s political trajectory. 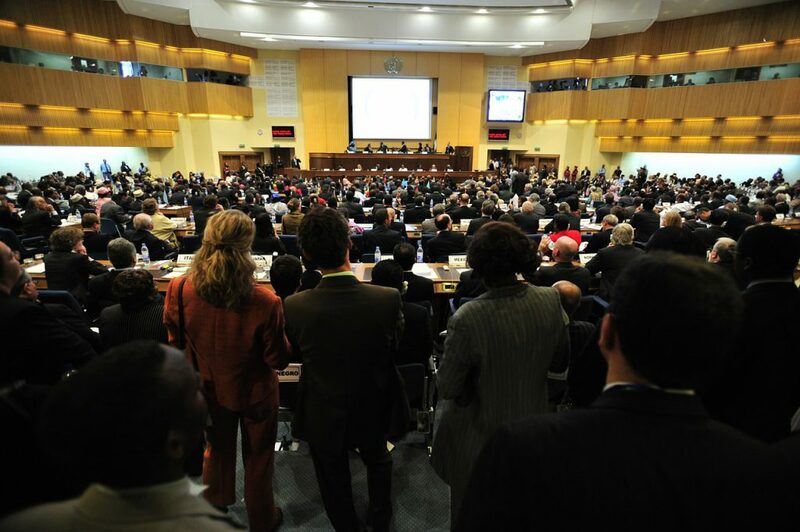 The leadership transition comes at an awkward time for Africa’s second most populous country. Ethiopia is among the world’s fastest-growing economies, aided by international investment — notably from China and India — and struggling to implement a state of emergency as widespread protests threaten to slip out of government control. Desalegn’s successor will have to balance numerous competing interests to keep the country’s growth on track. Ethiopia has long struggled with pockets of armed resistance in Oromia, Amhara, Tigray, Gambella and the Somali-dominated Ogaden regions. While these conflicts partially arise from flawed developmental policies, the state of instability has conversely created a hostile environment for development. After the death of his predecessor, Desalegn — who hails from the minority Wolayta tribe — assumed national leadership in 2012, presumably as a compromise candidate. However, he quickly came to be perceived as a figurehead for the politically dominant Tigrayan tribe, which constitutes 6% of the population. From 2015, the Amhara and Oromos, who make up the majority of the country’s population, staged persistent mass protests. Their demands for an end to political exclusion and flagrant human rights violations led to the declaration of a state of emergency in 2016. Approximately 20,000 were arrested and 600 killed in the ensuing government crackdown. The cessation of the state of emergency in 2017 sparked another round of mass demonstrations and prompted the latest state of emergency. Ethiopia is one of the world’s fastest-growing economies by GDP per capita. The country recorded an impressive average annual growth rate of 10% between 2005 and 2016 and poverty rates fell from 44% in 2000 to 31% in 2011. Ethiopia’s economic growth has partly been powered by government investment in mega infrastructural projects in partnership with China. In 2015, the government launched the second phase of an ambitious Growth and Transformation Plan (GTP II) that aims to propel the country into low middle-income status by 2025. The GTP, an offspring of extensive stakeholder consultations, has spawned development and crisis in equal measure. Within the GTP framework, a master plan to expand the capital city would divest surrounding farmlands from rural communities, sparking the 2015 unrest. These protests exposed historical grievances over systematic marginalisation and persecution of the Oromo community that has fomented a long-standing contentious relationship with government. Addis Ababa’s concession to shelve the expansion plan inadvertently bolstered opposition momentum as demands for self-rule and the release of political prisoners reached fever pitch. Besides concerns over measly compensations, the Oromo in particular regard the planned mass evictions as the furtherance of ethnopolitical dominance by the Amhara and Tigray. Investor caution arising from the government’s struggles to implement the GTP in a disruptive environment has provided the Oromos with some leverage to intensify their demands for reforms. Traditionally, the government has ridden roughshod but recent experiences demonstrate its willingness to backpedal. In response to the mass protests, Desalegn released thousands of political detainees in 2018 in a move touted as an expansion of political space. However, the failure to quash the unrest undoubtedly played a role in his premature exit. Though appeasing to the demonstrators, the release of detainees is likely cosmetic and does not signal advancement towards far-reaching reforms essential for deepening democracy. The unrest has disrupted Ethiopia’s modernisation strategy and momentarily stalled its gradual transformation as the region’s hegemon. Despite its impressive progress, Ethiopia’s economic growth rate has slipped to 8% and it still ranked 174 on the 2016 Human Development Index. While significant gains have been made in critical human development indicators — such as reduction in child mortality rates and improved access to education and clean water — challenges to nutrition and food security, egalitarianism, quality education and maternal mortality persist. The absence of conflict-sensitive development could potentiate future disruptions to the development agenda. Though economic growth is likely to hold, Ethiopians are expected to enjoy fleeting experiences with development that is not sustainable in the long term. The internal instability stems in part from government’s failure to redress entrenched social, political and economic inequities. The erosion of state legitimacy in particular regions and weakened social cohesion has upset development initiatives. Inversely, unequal development privileging certain tribes has been an important driver of conflict. 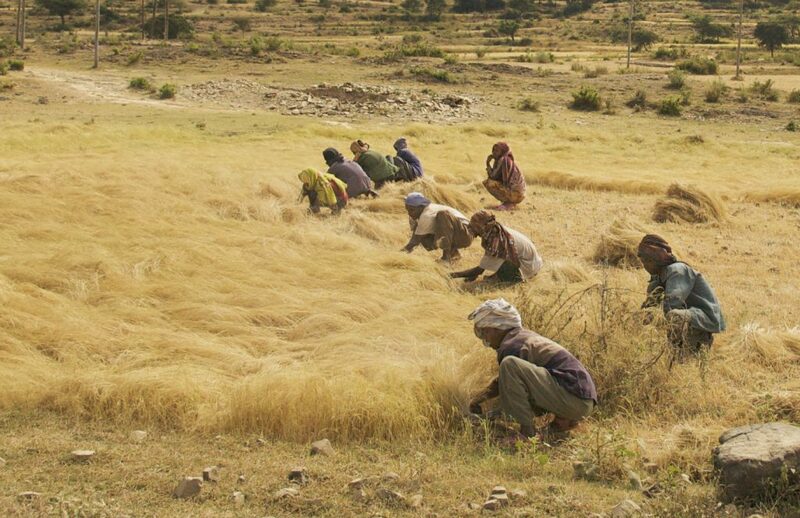 The Tigray have in the past disproportionately benefited from the allocation of resources. To illustrate, their monopolisation of important government positions and inequitable allocation of financial resources has increased ethnic antagonism. A government compromise that heeds community concerns regarding land expropriation is likely to threaten the confidence of international investors — the primary beneficiaries of the scheme — and partly derail the realisation of the GTP. In the same way, ceding to investors could further antagonise communities and create a hostile environment for investment with grave consequences for the GTP. In resolving this conundrum, the government is likely to honour existing lease agreements and attempt to appease the community by devising better strategies for engagement and buy-in. However, it is equally likely that continued resistance to comprehensive land reforms will result in a doubling down of the government’s repression as a means to secure the vision of the GTP. Given its headquarters are located in Addis Ababa, the African Union is likely to intervene should the current crisis escalate. Pressure to placate the protests will also come from further abroad, as the West seeks to secure Ethiopia’s well-crafted image as the regional bulwark in the war on terror and China campaigns for its interests in infrastructural investment to be protected. Ethiopia’s onward course is dependent on the political mien of Desalegn’s successor, as well as the orientation of the security and intelligence apparatus, which have been central in Ethiopian statecraft. Desalegn’s resignation will not necessarily herald ground-breaking reforms that radically address the complex conflict tapestry. However, the delicate balancing act between development and stability, coupled with external pressure, could arm-twist Ethiopia to attempt some piecemeal reforms. Should a lull ensue, expect a reversal to old traditions in the long run.